Prior to the 52nd annual CMA Awards telecast last week, it was heavily buzzed about that co-host Brad Paisley was going to sing a new song, his first from a new album, of which he’s only recorded 3-5 songs so far. One review I read even heralded the song as a return to his traditional country roots, and let’s face it, Paisley has become so irrelevant in recent years, it’s about the only move he could make that would actually make sense. Going into his CMA performance, I was expecting what I thought to be true — Paisley was releasing a honky-tonk song to country radio, in pure form, not the faux honky-tonk Garth Brooks tried to pull over our eyes with “All Day Long.” Sadly, this isn’t the case. But I will give Paisley credit where it’s due. “Bucked Off” is the most traditional country song released to radio since the leaves turned colors and began to fall from the trees. There is a full dose of steel and fiddle very audible in the mix. It has good bones, a catchy melody, and a somewhat engaging story. Paisley also deserves a tremendous amount of praise for not selling out like Keith Urban and using “Bucked Off” as a desperate attempt at relevancy. My issue here is that Paisley knows better. He proved that seventeen years ago when he took “Wrapped Around” to #2, as the second single from Part II. It showed how Strait influenced him, while correctly moving the genre forward into the new Millennium. It’s a pipe dream to think he would go back there, but I can always hold out hope, no matter how thin a sliver it might be at this point. At least Bentley wasn’t showcases the rowdier side of Black. He and King didn’t do anything to stand out and the whole thing was more middle of the road than anything else. A full-length album goes up against four typical mainstream duets. It’s the second straight year the CMA has opted to nominate an LP, and like Bakersfieldlast year, the project deserves to compete in the Album of the Year category instead. With Brad Paisley and a pregnant Carrie Underwood set to host for the seventh straight year, and all the usual suspects set to perform, you’d think business would run as normal. But you’re wrong. Not only will this mark the first CMA telecast without Taylor Swift in nine years, pop starlet Ariana Grande is set to perform with Little Big Town while Meghan Trainor will sing her hit “All About That Bass” with Miranda Lambert. Few other surprises have been announced, but God only knows why Trisha Yearwood has been regulated to a presenter’s slot and not given prime exposure to sing “PrizeFighter” with Kelly Clarkson. At any rate, here are the nominees. You’ll find my Should Win / Will Win perdictions below. Do you agree/disagree? Sound off in the comments. Blake Shelton and Keith Urban have one trophy apiece while George Strait is nominated the year he gave his final concert. 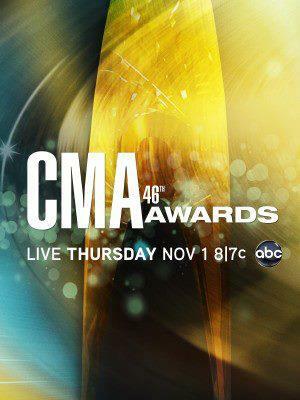 Only Luke Bryan and Miranda Lambert, who are on their second nominations, have yet to win. Should Win: George Strait – The Country Music Hall of Famer and country music legend wrapped his Cowboy Rides Away Tour a year after beating his younger competition to win this award for the first time in 24 years. When all is said and done, the CMA would be foolish to deny Strait his rightful place as an all-time category winner (four wins), along with Garth Brooks and Kenny Chesney. Will Win: George Strait – Prissy Luke Bryan can have his turn with his third consecutive nod next year. Strait, who’ll never be eligible for this award again, will go out in style. 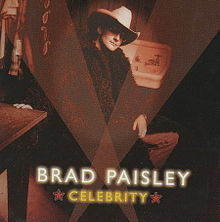 I was listening to the radio the other day when Brad Paisley’s 2003 #3 hit “Celebrity” came on. Listening to the lyrics discussing month long marriages, crying on Barbara Walter’s couch, and unlimited stents in rehab got me thinking. In the 9 years since this song charted, not only hasn’t it aged, but it’s become even more culturally prominant than it was back then. And that has little to do with the mere fact The Bachelor just began cycle 16. It boils down to the fact we’re even more celebrity obsessed than we were in 2003 and reality television has grown even more outragrous than Paisley could’ve ever imagined. He actually created a document ahead of it’s time written for a Kardashian obsessed world that didn’t yet exist. His forward thinking served him exceptionally well and this tome celebrating our desire to “hitch up the wagons and head out west, to a land of fun in the sun” has far surpassed the novelty Paisley was after and become a scarily honest look at our culture. Here’s my picks for the best of the best, the cream of the crop for country singles in 2011. See, the year wasn’t all bad, now was it? A flirty romance tale finding a couple eyeing each other from across the room is made even sweeter knowing Megan Lindsay and Joshua Scott Jones are an item in real life. How refreshing is it to hear a singer singing about where they’re from and instead of a bunch of cliches, it relays to personal experience? Clark, from Canada, sings lovingly of her homeland here and shows just how great her voice still is after more than fifteen years in the industry. If you haven’t paid Clark much attention in a while, she’s worth checking out. A Beyonce inspired ditty that says everything Reba McEntire wished she could’ve said in “Who’s Ever In New England.” This guy ain’t got a place to come back to. This light and breezy tale is an exercise in being comfortable in your everyday life, something we could use more of in our world. Lyda co-wrote it with legendary songwriter Paul Overstreet (whose son Chord is Sam Evans on Glee) and it has that old-time feel of a great country song. Lyda didn’t make waves in 2011, but he sure deserved to. Much has been made lately about the lack of solo female artists charting top 30 singles. An alarm was sounded bringing attention to just how few genuine female superstars are working in the genre today. But instead of focusing on the lack of female artists charting big singles, we should be talking about and putting the spotlight on those female artists (solo or not) who are making music that matters whether they receive airplay or are left in the dust. One of those artists commanding attention is Miranda Lambert’s new trio The Pistol Annies. Their debut album Hell on Heels is without a doubt one of the best country albums of 2011 because the attention to detail in the lyrical content rivals anything being released on a major label in Nashville today. Throughout the ten-song project, intricate phrases abound elevating simple stories into pieces of art. Hell On Heels is a listening experience like none other you’ll have all year. They debuted with the title track earlier this year, an introduction as good as any. I have a little trouble with its three artist structure, but the verse sung solo by Ashley Monroe always brings fourth a smile. She’s just delightful and one of the best-kept secrets in Nashville today. But the rest of the album is as good but much better than that song. Not since Mary Chapin Carpenter released “House of Cards” as the third single from Stones in the Road in 1995, has anyone spoken so honestly and introspectively about life behind closed doors. They’ve stood up and given voice to the women who can’t take it anymore from the men who haven’t got a clue. No song exemplifies this better than “Housewives Prayer,” which employs a simple yet dark lyric to convey the pain of quiet desperation. One of the best songs of the year, it’s a cautionary tale from a woman fed up with the status of her life – she’s been thinking about going off the deep end because she’s “burning up with all the words she ain’t been saying,” and at her boiling point, she washes pills down with beer and contemplates setting her house on fire. Inspired by “Holler Annie” Angaleena Presley’s divorce, “Prayer” proves the point that you don’t need much to pack a wallop. Presley’s lead vocal acts as a portal for the audience to feel her pain and the moody musical accompaniment, complete with haunting steel guitar front and center, adds another dimension to her sadness. The light mix of acoustic guitars and gentle procession coupled with the blending of their voices, gives the song a rather sweet quality, which contrasts with the placement of a lemon in the title, but suggests the optimism the protagonist is holding onto. You come away feeling her situation isn’t a reflection on her because no matter how dire the circumstances may be, she isn’t letting them define her. When listening to the song, I had to actually stop and think what “life is like a lemon drop” meant. When was the last time that happened? It’s so rewarding not to be able to take lyrics at face value, where you already know what the song’s about because the lyrics are so predictable. This is one of those times I actually like having to work at fully understanding my country music. “Hippie Annie” Monroe takes the lead and displays how much she’s grown as a vocalist since Satisfied, her solo debut from 2006. But the song suffers only slightly from a lack of polish. There is a few times where Monroe could’ve enunciated more clearly. But other than that, the track dabbles with perfection. The drumbeat and steel guitar add a layer to the song conveying the sadness felt by everyone on what should’ve been a happy occasion. But with all the heaviness of the ballads, the Annies add a few lighter moments to lesson the load. “Bad Example” is a pure country shuffle that recalls something from the 1920s, “Takin’ Pills” recalls the depression-era production T-Bone Burnett used on his Robert Plant and Alison Krauss collaboration Raising Sand, and “Family Feud” is pure Americana bliss. But being lighter doesn’t cancel out their substantive qualities. “Feud” is takes on a serious topic that often tears families apart, while “Pills” uses drugs, alcohol, and cigarettes as coping mechanisms. But for all their seriousness, they are the best examples of dark humor I’ve heard in country songs since I can remember. Another light moment, “The Hunter’s Wife,” reminds me a lot of Rodney Crowell’s “She’s Crazy For Leavin’” in terms of production. I love the wordiness of the chorus and the fact that this man doesn’t even realize he’s chosen hunting (and fishing) over his wife. The way she complains about the meals she’s sick of eating in the second verse is so instantly relatable. It’s hard to find a woman who isn’t tired of the redundant behaviors of their husband or boyfriend. If this were a Brad Paisley song, she’d know exactly what to do – give him an ultimatum and if she doesn’t care for his answer, get the heck out. Overall, it’s one of the coolest songs on the whole album and another highlight among highlights. “Lone Star Annie” Lambert takes the lead on both “Trailer for Rent” and “Boys From The South.” Both represent classic Lambert, on “Rent” she’s selling the trailer she shared with her now ex and it bares the marks of where she grew tired of his abusive behavior. I only wish “Rent” hadn’t gone into expletive territory. It didn’t need a swear word to emphasize anything, but it is indicative of how most people talk and adds an authenticity to the song in that respect. I also like the easygoing nature of the production track. “Boys From The South” on the other hand, is the lone oddball out on the project. It’s so straightforward and has so much commercial potential; it would’ve been better on Lambert’s upcoming Four The Record or even Revolution. But if any song on this album has the ability to break through at radio and give Hell On Heels an extra push, it’s this one. These are the types of songs Lambert does exceptionally well and she excels on that here. In the end, Hell on Heels is everything a country album should be: original in its angles on well-worn themes and a challenge to the listener to think and pay attention to what’s being said. This brand of country isn’t going to appeal to everyone, but there’s an audience out there starving for this kind of music. I know because I’m a vocal member of that crowd, retaliating against the usual fare coming out of mainstream Nashville. Thank goodness for artists like Pistol Annies who transcend trend and make music that will matter as much thirty years from now as it does today.